Using natural materials water supply reservoir dams have only one design option – known as downstream type construction. 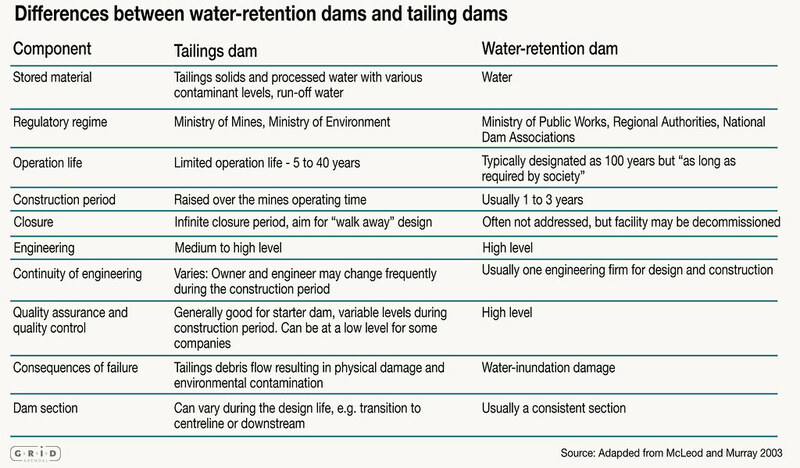 Tailings dams sometimes use this construction type, but more often use, what is termed Water and Tailings dam construction methods centerline or upstream- construction, designs that water supply reservoir dams cannot employ. 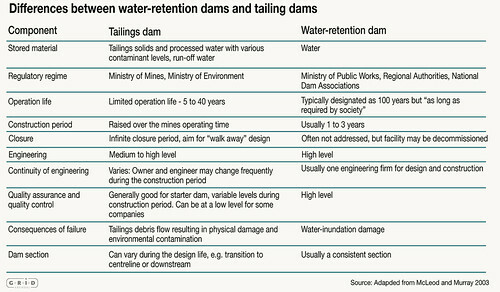 Centerline and upstream dams are not as inherently safe as downstream construction.